Each month I design a technique class with a video demonstrating a technique with full directions for 3 cards using the technique! 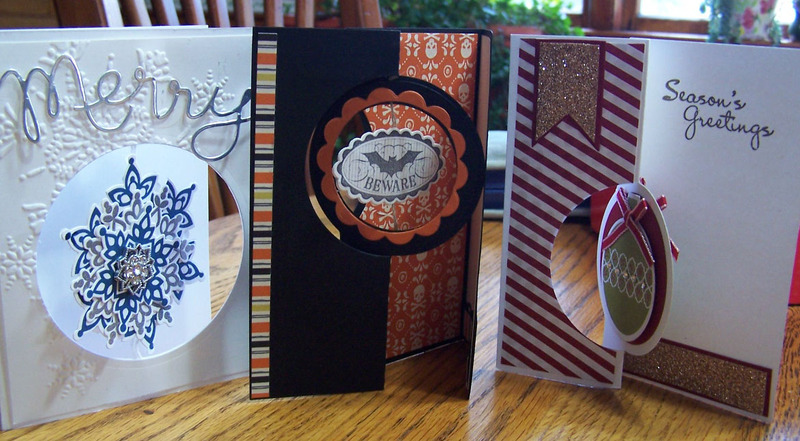 Well, this month I have designed the technique around the new Thinlits Dies that allow you to make Flip Cards in one quick step. These dies are great and make interactive cards so easy! Who wouldn’t want to receive an interactive card like one of these above! So for the remainder of October – place an order for one of the thinlit die sets and receive a link to my technique video and full instructions for these cards for FREE! 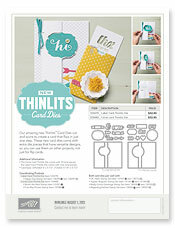 Each set of thinlit dies has 8 great shapes that coordinate with the die to make beautiful cards all for $32.95. You can place orders at my online store here. Enjoy your day and Happy Stampin’! 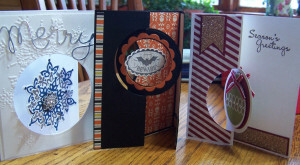 Cards that Move, handmade cards, Stampin' Up!. Bookmark.